We have been introducing different objects to the children in Red class, to help them explore their senses and to improve their communication skills. 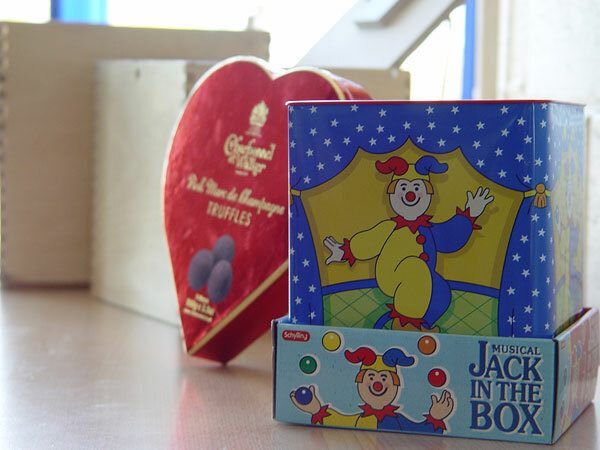 The items that we worked with included a heart shaped box containing some chocolate; a jack in the box and a large box containing smaller sized boxes inside. Having explored the objects during class circle time, we asked each pupil to communicate what they could see and feel. This exercise also helped us with out focus and concentration. Presenting the pupils with an item that requires exploration encourages good listening and looking skills.